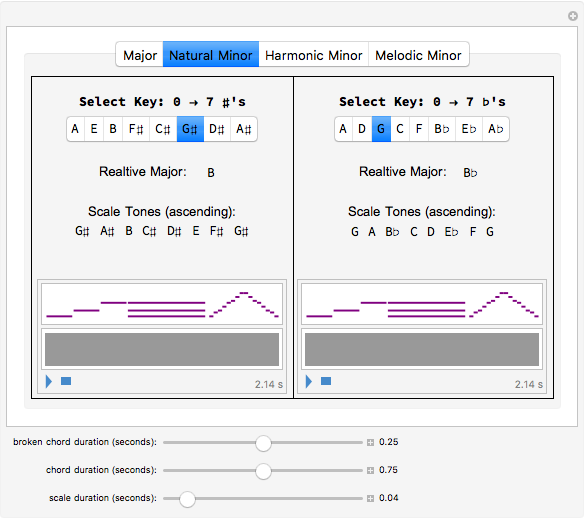 You can choose any of the modern major and minor keys with the selector at the top. 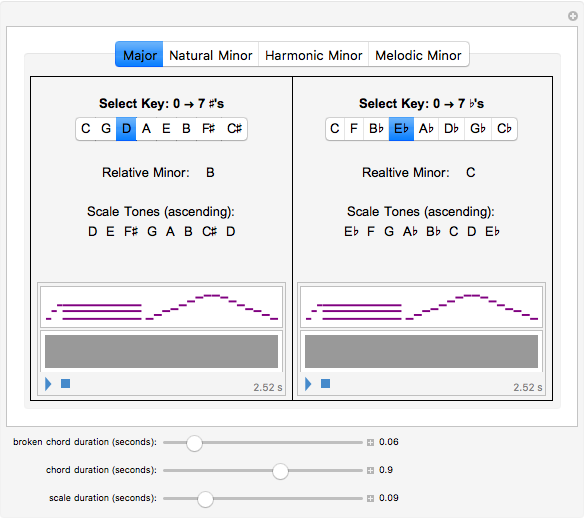 The number of sharps or flats in the key signature is then shown. 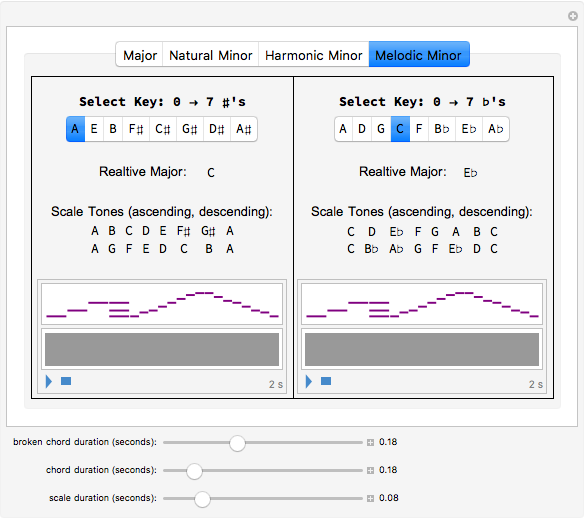 After selecting your key, its relative major or minor keys are displayed along with the notes of the corresponding scale. 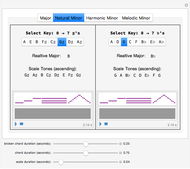 You can hear a melody in the selected key by pressing the play button (Ã¢ÂÂ¶). 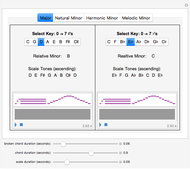 You can adjust the duration of any section within this Demonstration using the controls at the very bottom. 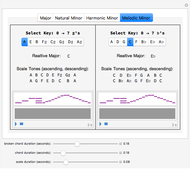 Use this to help practice scales or to quickly retrieve information about the key signature of the piece you are composing. Benjamin Taylor "Circle of Fifths"